If there is that one special thing the entire seafood loving population around the world can’t do without, it has to be the fabulous gift of the seas known as the Oyster. This humble mollusc has been a much appreciated part of the diet of all seafood aficionados for many, many years. There are well documented records which suggest that oysters were consumed by humans as far back as the 14th century. This love for Oysters is also very noticeable here in Australia. Here in Australia, we are famous for the freshness and quality of our oysters. The warm and inviting waters of South Australia, and especially the Eyre Peninsula, are the best place for oyster farming throughout the year. This is particularly true for the township of Coffin Bay in the lower Eyre Peninsula which has one of the best quality oysters available in Australia. Coffin Bay Oysters are legendary for their succulent sweet taste and a delicate flavour. Coffin Bay is a picturesque area located about 700 km away from Adelaide and on the shores of Port Douglas Bay. Discovered by Matthew Flinders in 1802, Coffin Bay is a magnificent holiday spot that can take you back in time. The tranquil waters of the Coffin Bay are home to many leisure activities like yachting, sailing and kayaking, but the one thing that it is most famous for are its Oysters. Coffin Bay Oysters have been harvested in the area since the 1800’s. It was after the first settlers got a taste of the oysters’ freshness that it became such a popular commodity in South Australia. 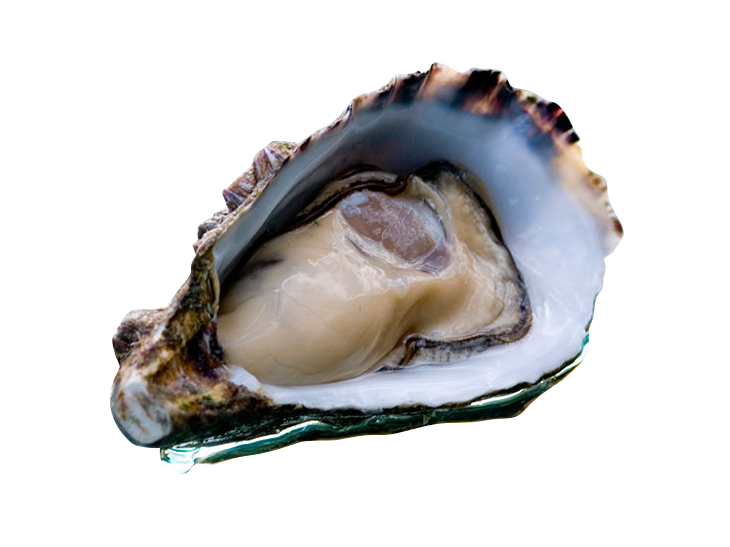 Coffin Bay Oysters are also known as Pacific Oysters or Japanese Oysters. They were first introduced in Tasmania in the 1940’s and were soon cultivated in South Australia. Since then there has been no looking back for these delicious wonders. What makes Coffin Bay oysters special? The warm and tranquil waters around Coffin Bay create a special micro climate that is perfect for the oysters. This is the reason why the oysters from this area are extra succulent and have a unique sweetness to them. Oysters have long been known for their aphrodisiacal properties. It is mainly attributed to the amount of vitamins like zinc, iron and calcium that they have. With the growing concern of over fishing of oysters in the area, there has been a systematic plan put into action. This ensures that the quantities of oyster production are kept under a constant check. Sustainable methods of oyster farming have been developed over the years which not only helped get a better yield of oysters, but have also improved their quality. Because Coffin Bay Oysters grown in the mineral rich waters of the area, no feeding is required. Stringent quality control measures are taken by all the oyster farms in the area to make sure the quality and freshness of the oysters is always consistent. Since oysters are very delicate and have a very subtle taste it become very important to handle them with utmost care. Oysters, like wine, develop their taste as they age and they need a very specific type of climate and temperature once they are out of the water. Oysters should never be frozen – they should always be refrigerated at about four degrees Celsius. It is also important to maintain high humidity levels while storing oysters. The best way to judge the freshness of an oyster is by looking at its shell. If the shell is closed tightly it means that the oyster is still alive and fresh for consumption. An open shelled oyster would indicate that it has been long dead and may not be fit for consumption anymore. On cooking the oysters their shell opens up and those oysters which do not open their shells can be discarded as they may be not so safe to eat. The best way to eat oysters is raw. One just needs to open the shell, squeeze a lime over it and gulp it down. For people who do not fancy eating raw oysters, there are endless methods in which they can be cooked. Steaming them in their shells is a popular choice. Another famous cooking style is grilling the oysters, this gives them a nice smoky flavour but care has to be taken not to overcook them or the flesh can become quite rubbery. Another way to cook the wonderful Coffin Bay Oysters can be to dip them in a beer batter and deep fry them till golden brown. They can then be enjoyed with a tartar dip or an aioli. There are many choices one can have when it comes to cooking oysters. Their beautiful taste blends very nicely with all white wines and can certainly add that oomph factor to any meal. All live oysters will have their shells closed. Therefore in order to enjoy a fresh Coffin Bay Oyster it is important to know how to open its shell without breaking it. The art of opening an oyster shell is called shucking and it requires some practice before you can call yourself an expert at oyster shucking. The preferred tool for shucking oysters is an oyster knife. It is a slightly longer handled knife and has a short thick blade which is inserted into the lips of the oyster. A slight twist should open the shell and then the knife has to be moved along the lips of the open shell. This cuts the abductor muscle of the oyster and the shell can be opened now. Shucking of oysters should be done very carefully as it can cause injury to the hands if proper attention is not paid. Coffin Bay Oysters are enjoyed by nearly everyone throughout Southern Australia. They have very steadily made a solid reputation for themselves and it has all been possible due to the brilliant work of the oyster farms and the perfect water conditions and climate of Coffin Bay. It is very likely that if you are ever enjoying oysters at a top restaurant in South Australia they will be from Coffin Bay. When you savour the taste of these Coffin Bay beauties you will understand what all the fuss is about.